Are your electronics working properly? Have you noticed any problems with your Ethernet cables? You could have an open circuit, or even a short. 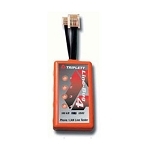 Whatever the problem may be, the best way to figure it out would be with a V-Max RJ11 and RJ45 Cable Tester. As the title suggests, RJ11 and RJ45 modular plugs can be checked out for electrical problems using this device. Each Cable Tester has a main display of a voltage meter that has two electrical sockets on it, and a microcontroller with another socket. The display ranges from 1-8 for the eight conductors in a jack, and G for ground and shielded cables. Many electricians use network cable testers when installing a connection, but commercial buildings with business servers also benefit from using such equipment. Whether you are going to cable test a Category 6, Cat.5E or Cat 3 link, the process is simple and easy to do. You can test your Ethernet cables for the following connection problems: missing (open), unintended (short) and cross-reference (pin-out). When any of these occur, your cords will fail to work correctly and that could be whats causing your electronics to misbehave. 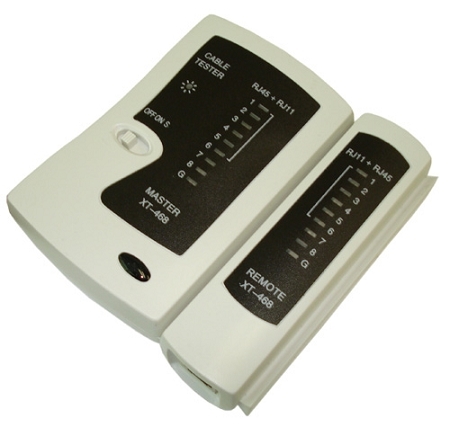 With the RJ11 and RJ45 Cable Tester, you can find the problem and know what needs fixing in moments.